More and more individuals with digestive complaints are turning to natural health to help cure their digestive disorders. In many cases, probiotics are critical to help stabilize digestion for individuals with a history of digestive complaints. Probiotics are offered by multitudinous companies who all tout the health benefits of re-populating the colon with “good” bacteria. From simple cultured foods sold in supermarkets (such as yogurt) to extremely complex, encapsulated blends (such as VSL #1), it can be confusing trying to figure out which products are really effective. I should have said: Confusing and very expensive. Furthermore, many, if not most, of the probiotic products sold are not very effective. The severity of digestive failure is often partially to blame, but it is also becoming very clear that these “off the shelf” microbes are not doing their job very well. They simply appear to be exiting from the colon as quickly as they arrive, if they even survive their tumultuous and perilous travel through the raging hydrochloric acid in the stomach. Damage to the mucus membrane of the colon also makes the re-population of beneficial microbes a difficult task. Partially digested food, due to weak digestion, also encourages the propagation of increasingly vigilant pathogenic organisms. The SAD American diet doesn’t help, either! Sugar and processed food are both “colon killers”, often largely due to fungal overgrowth that occurs due to excess carbohydrate consumption and over-acidity from food preservatives and an imbalanced diet. Restoration of proper digestive function is absolutely key to vibrant health. Without good digestion, the body’s systems will start to fail like a house of cards tumbling down. But there are simple, effective solutions that won’t break the bank. Many people have found that using edible healing clays is all that is needed to help heal and repair the digestive system. But what happens when the colon’s bacterial balance is so far deteriorated that recovery doesn’t take place? When individuals begin taking a good healing clay, and notice an issue with constipation, this is a warning that the digestive system needs some additional work. This is called an “exteriorization”, an existing problem made manifest by effective therapy. It is a message being sent by the body, revealed by the use of clay. The ***effective use*** of probiotics and therapeutic clay, along with a few other natural healing foods, is all that is needed to start the process of healing, which can take as little as six weeks, but as long as a few years. In order to harness the true power of probiotics, one needs to use very human-compatible strains of lactobacteria, along with an effective delivery system. By properly fermenting foods with naturally occurring beneficial bacteria, the cost of using probiotics can be dramatically reduced, and the effectiveness of probiotics can be significantly improved. A perfect solution to a real problem. Although not the only fermented food one can use, fermented cabbage juice may be one of the most effective and safe methods to help repopulate the colon. It is certainly very affordable, and easy to make. What makes cabbage juice so special? The lactobacteria exist in a robust state in their natural environment (the cabbage), and the fibers of the cabbage protect the microbes as they travel through the stomach, and act as the perfect probiotic delivery system. One half cup of fermented cabbage juice taken with each and every meal, along with a good daily dose of edible clay, has proven to be a near miraculous combination for many individuals. Adjusting to fermented cabbage juice can be a challenge for some, but it becomes easier if one remembers that the more the body reacts to its initial consumption, the more it is needed. Any discomfort is very temporary! Fermented cabbage juice may not smell very good, but the taste is actually very mild. Many individuals with digestive problems also have problems with fungal overgrowth, leaky gut syndrome, etc. When fungus such as Candida overgrows, it can “leak” into the body and become pathogenic. Live blood cell analysis quickly reveals such a condition. Once a fungus actually colonizes within human tissue (such as in the lining of the colon walls), it can be very difficult to eliminate. In order to further assist the body in eliminating pathogenic organism problems, wise individuals are also encouraged to add to their diet an abundance of raw garlic, while at the same time reducing the amount of sugars and carbs that are high on the glycemic index. Raw garlic is ***highly*** antimicrobial, and very underestimated in its ability to help reduce and normalize pathogen counts in the body. Using coconut oil daily (or caprylic acid) is very helpful, as are herbs such as olive leaf extract. Therapeutic clay, fermented cabbage juice, raw garlic, raw organic coconut oil and aloe! Some individuals complain about an intolerance to things such as raw garlic. This is often due to damage to the lining of the stomach, as well as the die off effect that garlic has as it works to restore balance to the digestive tract. The way to work around this is to first start with a small amount of clay water between meals; then add the aloe. Once the body has adjusted to small amounts of clay, add the fermented cabbage juice. Once the body has adjusted to the cabbage juice, add the garlic. If constipation becomes an immediate issue, stagger clay use, taking it three to four days a week rather than every day. Consider using a good quality magnesium product to help hydrate the colon, and a good bowel tonic herbal formula such as organic Triphala. 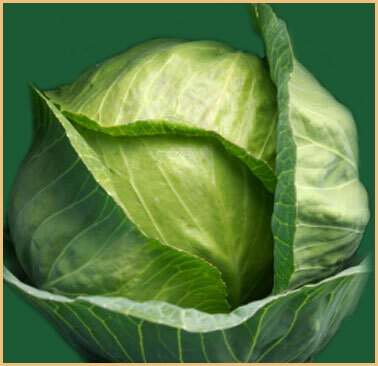 My special thanks goes out to Glenn Hall, who first introduced me to the use of fermented cabbage for natural health! Thanks for the article! Are you recommending to mix the clay, cabbage juice, aloe Vera and garlic together in one drink? Also, should I take it with every meal, before breakfast, or between meals? Thanks! Hi Shannon. Take the cabbage juice with meals without adding anything else to the fermented juice. …the digestive system should start to calm down when using it once the microbial balance is restored. fermented cabbage juice and meal? There are different usage strategies out there. One good strategy is to take it with meals; this improves digestion. 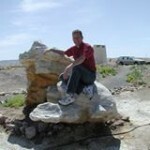 Hi, I have ulcers in the colon found out about 5 yrs ago. I been getting uncomfortable irritations in the gut I been drinking fermented cabbage juice and eating certain fruits not eating fried food I been feeling better. What should I do next? The cramping seems to have stopped? Thank you for your time. I’m very glad that you’ve made changes and are feeling better. Edible clay is one of the best things for ulcerations of the digestive tract, when used properly. It is as simple and affordable as possible, and can result in profound improvement if done “to the letter”, and while following reasonably healthy eating habits. Can I ask if it is beneficial to add Himalayan salt to fermentation? My friends says this is a must?. For slow fermentation processes, using salt is a must. For fast brews, like for fermented cabbage juice, it is not necessary. However, you can use it if you desire. Fermented cabbage juice has advantages over something like Kimchi, due to the activity/stress that the bacteria are under. The stress challenge makes the colonies very active and robust. Some people even add more stress by BRIEFLY ozonating the brew once to twice daily. This increases the bacterial growth.